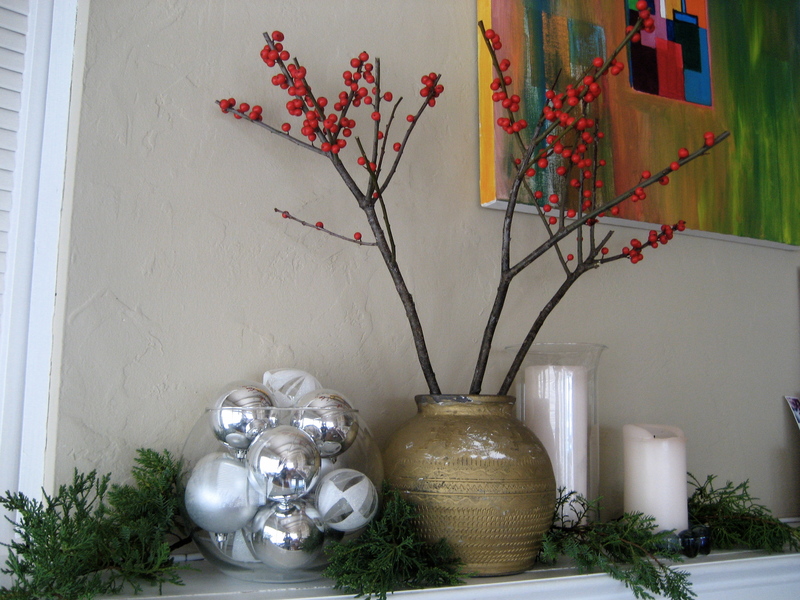 I picked up some Ilex Berry at Trader Joe’s this week. I’m fortunate to have evergreens growing in the front. Adds a nice touch to the mantle piece. 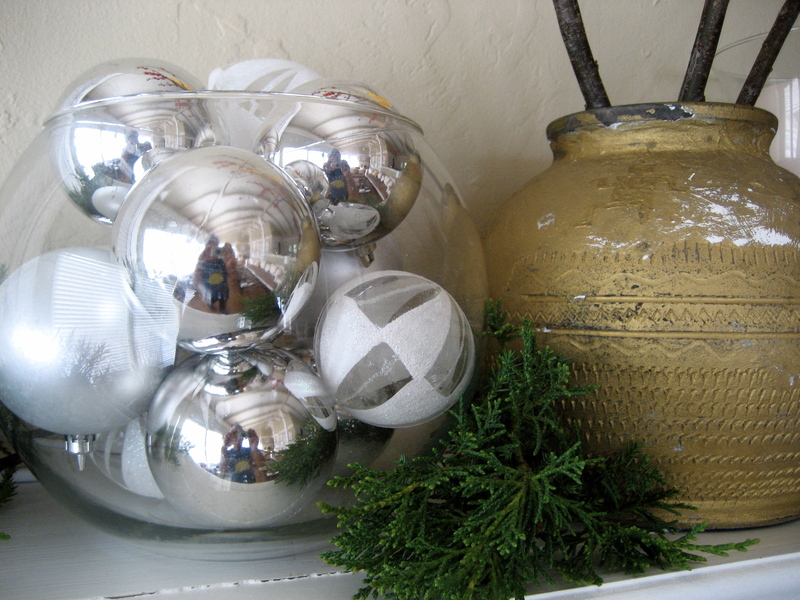 I love December and wanted just a touch of Holiday festive without getting a tree. 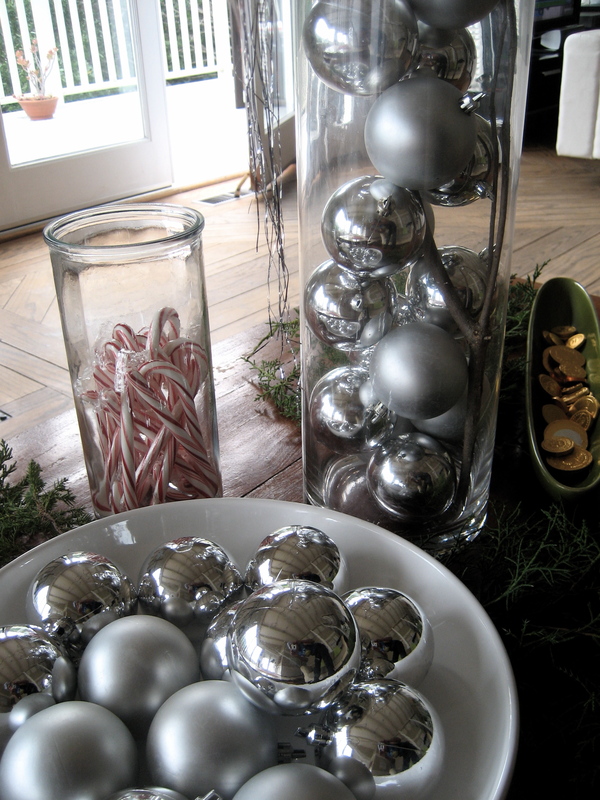 So I found a branch out back that had been cut from a tree trimming, stuck it in a tall clear vase filled with silver balls (from CVS) and hung silver tinsel from the stems. 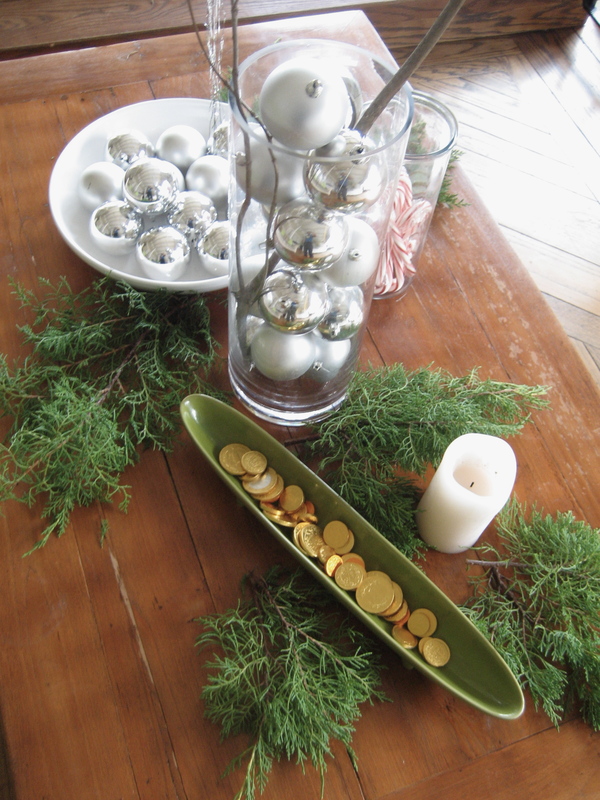 I couldn’t resist the classic candy canes and chocolate gold coins.